Cerruti is a brand that was registered in France in 1967. However, its name with the connotation of Italian is not there by chance. Nino Cerruti opened his first weaving and spinning mill in 1881, in Biella, in the heart of Italian Piedmont. If this small family business has become a real luxury empire, it is precisely to pay homage to its founder that Cerruti decided to name one of his juices 1881. Today, this essence has been reinterpreted many times. In this year 2018, it gives us another page of its history and now comes in the form of Cerruti 1881 Essential. Since its creation in 1990, countless olfactory reinterpretations of the Cerruti 1881 fragrance have not been counted. However, all its fragrant variations have in common the image of a deeply Italian landscape. Through this collection of juices, the brand Cerruti wanted to give us some of the “raw coolness of the water that springs from the rock”. Indeed, it is precisely this nature that surrounded the very first factory of the brand. 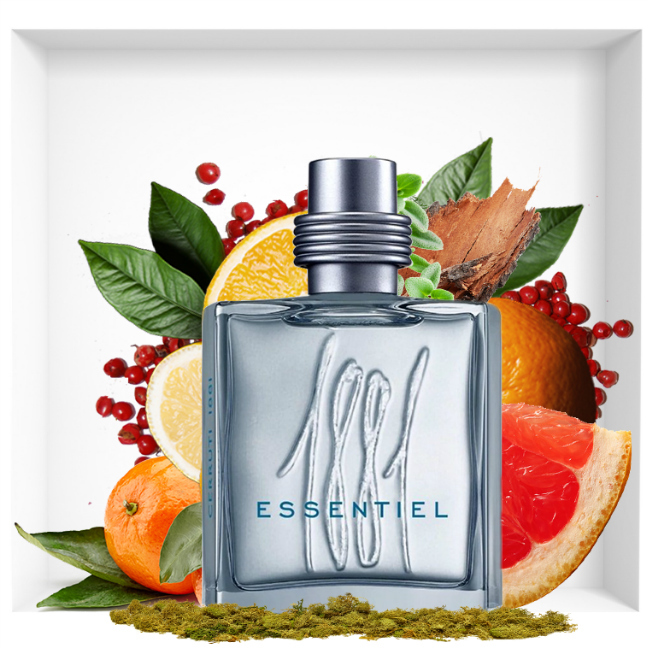 Cerruti 1881 Essentiel is similar to a walk in the shade of pines and cypresses, on a beautiful sunny day, not far from the Mediterranean. It is a profoundly Italian creation, which seems to have captured the brilliance and refinement of the brand while combining it with a new freshness, both vibrant and sophisticated. Cerruti 1881 Essentiel is a real breakaway in Tuscany. Cerruti 1881 Essentiel has a unique bottle. However, this new container is very much inspired by its predecessors. It takes the form of a transparent glass cube of gray color, resting on a stable base, sign of all the power and determination of the Italian man. Its metallic color is further enhanced by the presence of a silver cabochon. 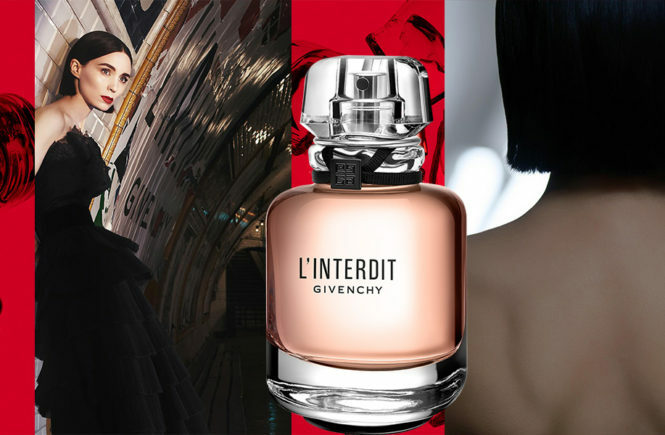 Cut in bevels, its angles reflect the light, which promises us a perfume of an intense freshness. The bottle of Cerruti 1881 Essentiel is an exaltation of purity, both timeless as stone and limpid as water. 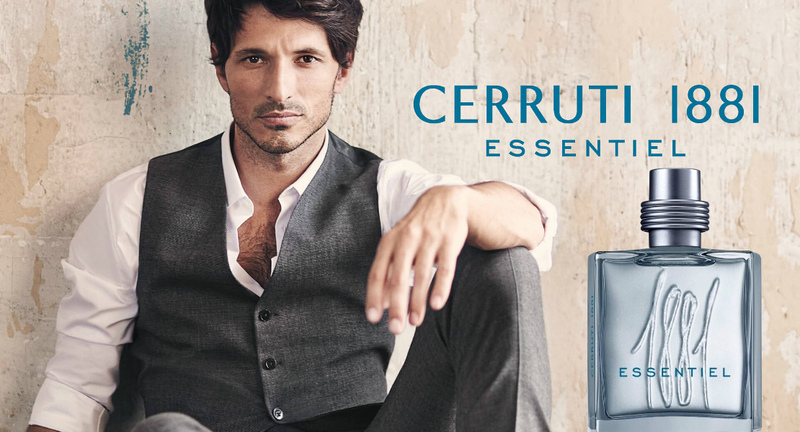 Cerruti 1881 Essentiel is similar to a bottled Italian case. Literally full of sun, it opens on the radiant radiance of citrus fruits. He assembles citrus, mandarin, grapefruit and bergamot. Then, all in contrasts, it awakens on contact with pink pepper. Basil and sagebrush give it a more aromatic and typically Mediterranean flavor. 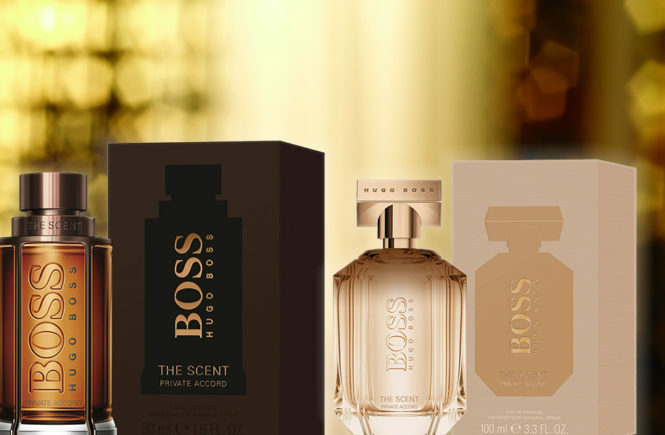 Finally, it ends with more sophistication and masculinity, allowing itself to be crossed by a woody trail of cedar, vetiver and oak moss. The result is the image of an epicurean and refined man, embodied by the model Andres Velencoso, a true charmer with elegant sobriety and sharp modernity.